Turning a client’s passion into living brand. My Role: art director and associate creative director on the majority of brand, design, and web. the creator of the brand came to us with nothing more than a product. 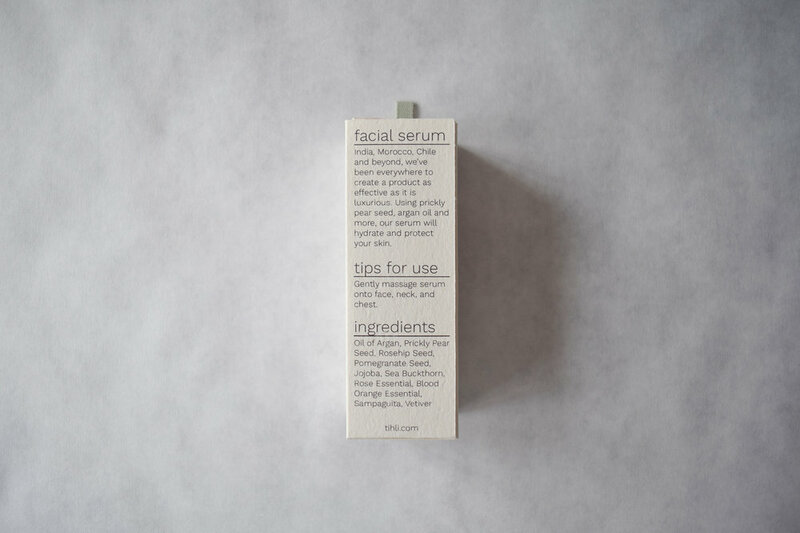 at fir nw, we gave this wonderful product a name, an identity, and a face so that it can live in the real world. When I started on this account, we barely had a name. I joined as an art director and graphic designer on the packaging team. 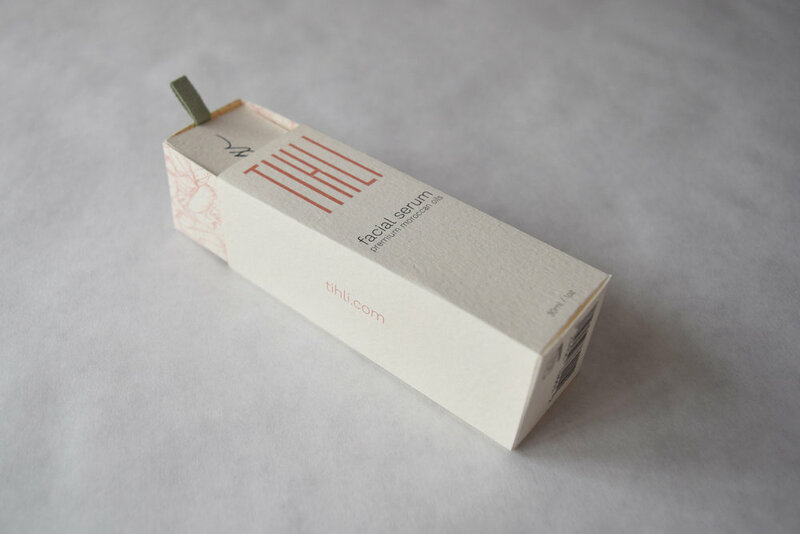 We created a target consumer, did research in the field on trends in our product sector, and worked hand in hand with the client to build a packaging that truly represented the Tihli brand and her identity alike. After several months of work, we produced complete packaging, an eCommerce platform, and a brand guide to help the brand continue to grow and develop. 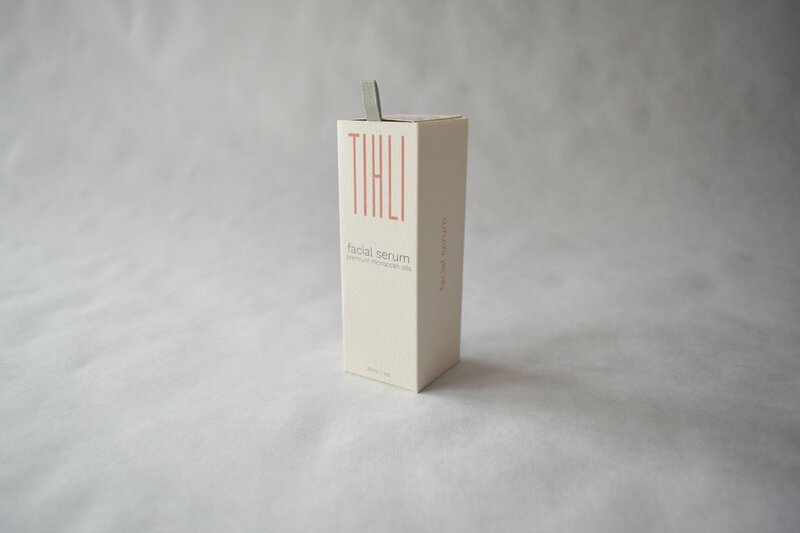 I was the only designer developing the packaging for Tihli, and I worked with two copywriters as partners as well. When I was thinking about what we were trying to accomplish, I was inspired by an old box of slides for those old Kodak Carousel slide machines. The case slid out, revealing a tray holding the slides, almost like a box of memories. I felt like that captured the spirit of Tihli, the spirit of life and rejuivination. Shops at Nordstrom, Steven Alan, Sloan, etc. As I'm sure is no surprise to you, I don't look much like our target consumer, on paper or otherwise. So my copywriter partners and I set out into the world to see what kind of products someone like Sara Jones is purchasing. Below is a gallery of images that helped us get in the right headspace. 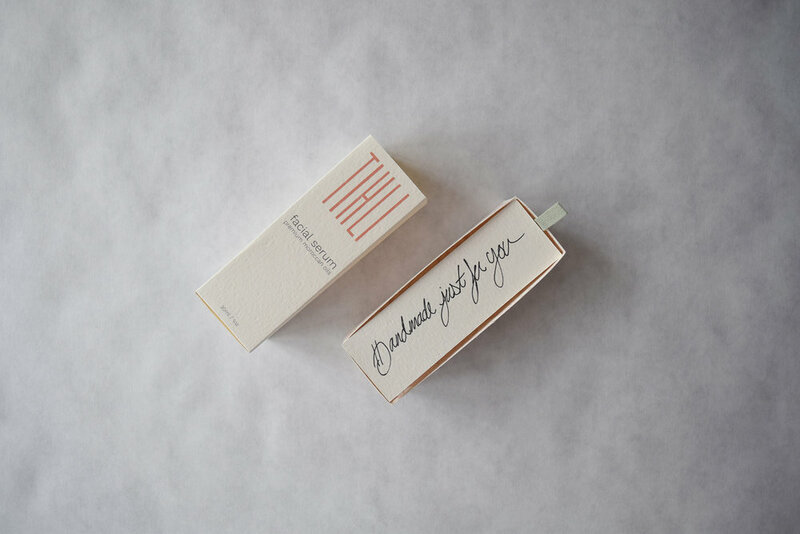 When it was time to develop the packaging itself we had a couple of constraints to work around. Our client was new to the market and would be clearly unable to meet minimum order quantities posed by most domestic manufacturers and with out internatinoal relationships outsourcing wasn't an option. 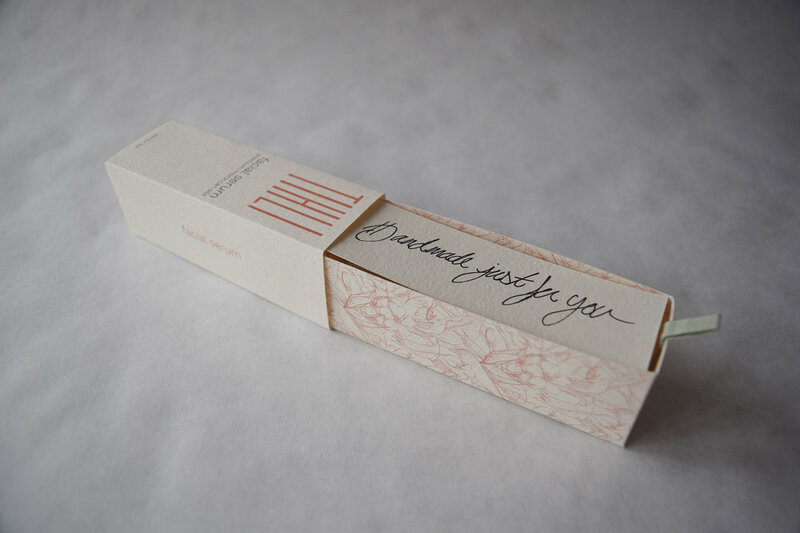 So, I designed packaging that could be completely produced using only two seets of 8.5x11 inch sheets of paper. Plus a small label for the bottle of course. Once I finalized the dimensions of the design we used die-cutting to create a scaleable manufacturing solution. We used typefaces that could be integrated through all brand communications without licensing fees and a stock pattern we could adjust to meet our color and design needs for the brand.